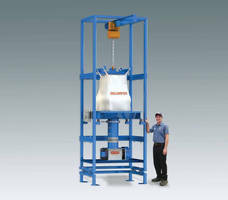 Made of steel plate, VULCANATOR® KM10 Granulator is equipped with heavy-duty flywheel. Ability to reduce rubber components, parts belts and parts of raw bales, unit is powered using 60HP motor. Minimizing heat rise, product comes with optional plc driven controller, discharge containers, infeed and discharge conveying system. 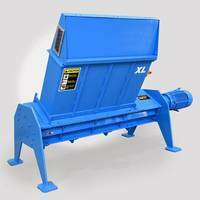 The new VULCANATOR® KM10 is a unique, heavy duty granulator with the ability to reduce synthetic or natural rubber components, parts belts, parts of raw bales and more into small bits without significant heat rise. This processor can drastically reduce processing time resulting in significant savings. The VULCANATOR KM10 features a unique cutting mechanism that quickly cuts material to a size fine enough to pass through a special perforated screen. The unit’s advanced design minimizes heat rise and eliminates the need for expensive cooling systems. The VULCANATOR features heavy-duty construction for continuous, dependable operation. The housing is constructed of heavy steel plate. A high level of precision is incorporated into every component. Access doors are provided for easy maintenance. These units feature a split body design with hydraulic lift for fast and easy interior access. It is supplied with up to a 60HP motor and drive as well as a built in heavy-duty flywheel. Stainless steel construction is also available as an option. 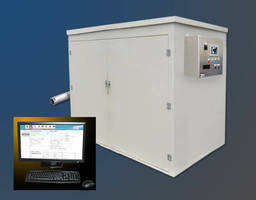 A choice of screen sizes is available to fine-tune the output particle size to meet the specific application requirements. Optional features include an plc driven controller, infeed and discharge conveying system, discharge containers and more. 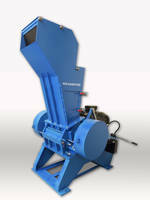 Fine Grinding Mill is designed for Superabsorbent Polymers. 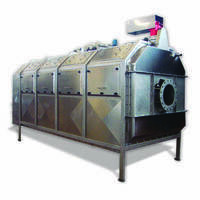 Granulators process variety of plastic parts and films.